Rembrandt Harmenz. Van Rijn was born in 1606 to a family of millers. After studying at Leiden University he trained as a painter with Jacob van Swanenburgh in Leiden and Pieter Lastman in Amsterdam. He was active as an independent master from around 1625 in Leiden, sharing a studio with Jan Lievens. Throughout his life he was a prolific draughtsman. He also took up etching around 1626, becoming one of the greatest of printmakers. In 1631 he moved to Amsterdam to work for the art dealer Hendrick van Uylenburgh, whose niece Saskia he married in 1634. 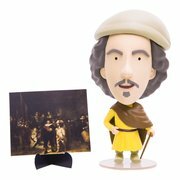 Rembrandt soon achieved renown as a portrait painter and began to receive commissions for history subjects, including a series of scenes from the Passion of Christ, painted for the Stadholder Prince Frederick Hendrick. He was at the height of his success when he painted the great group portrait known as the Night watch of 1642 (Rijksmuseum, Amsterdam). In the same year Saskia died and thereafter Rembrandt’s painted output declined sharply. He was living in the 1640s with Geertge Dircx with whom he seems to have separated in 1649, taking up with the younger Hendrickje Stoffels. Around 1640 he began to make etchings of the landscapes surrounding Amsterdam and in 1643 made one of his most famous landscape prints, The three trees , which ranks as one of the most majestic and deeply evocative representations of the natural world ever commited to paper. In this, his largest landscape print, Rembrandt portrays a limitless view of Dutch scenery, dramatically orchestrated with marked contrasts of light and dark and other atmospheric effects and conveying intimations of a divine presence in the natural order. 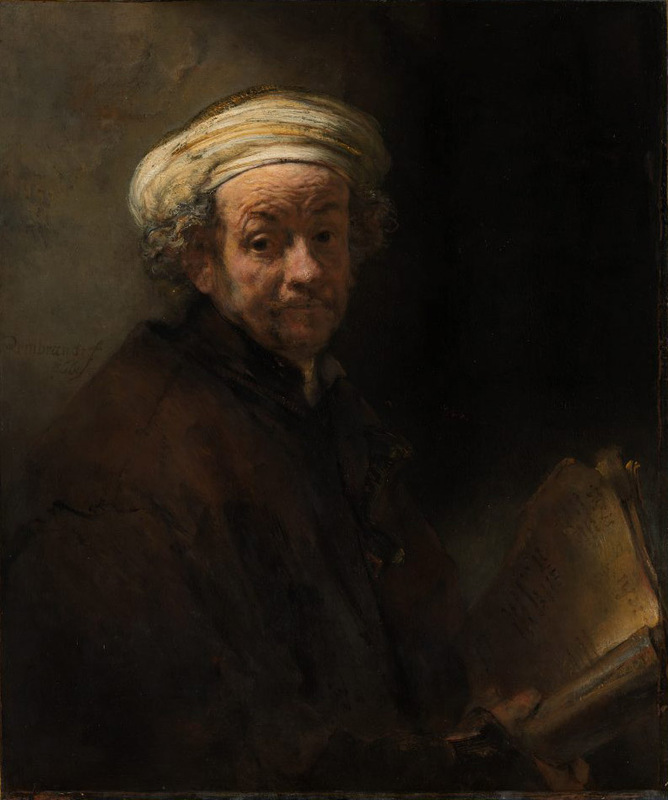 Rembrandt’s gift for rendering humanity was not limited to grand commissions. Indeed, nearly all of his etched portraits were subjects of his own choosing rather than individuals with no personal connection. Portrait of Jan Lutma, goldsmith 1656 demonstrates the artist’s capacity to portray the dignity of human life. A close scrutiny of the subject’s calm face reveals that Lutma meets our gaze with an absent look: beneath his heavy, wrinkled brow, his partly closed eyes signal that the elderly figure suffered from blindness, yet we nonetheless feel their warmth. Rembrandt’s own personal extravagances led to financial difficulties and ultimately to his being declared bankrupt in 1656. Over the next two years his property was sold off and thereafter he worked as an employee of Hendrickje Stoffels and Titus, the painter’s son. His financial embarrassment did not prevent him, however, from receiving important commissions both for portraits and history subjects in the last decade of his life.